Today I share with you two tutorials on how to paint two Age of Sigmar forces: Fyreslayers and Ironjawz. 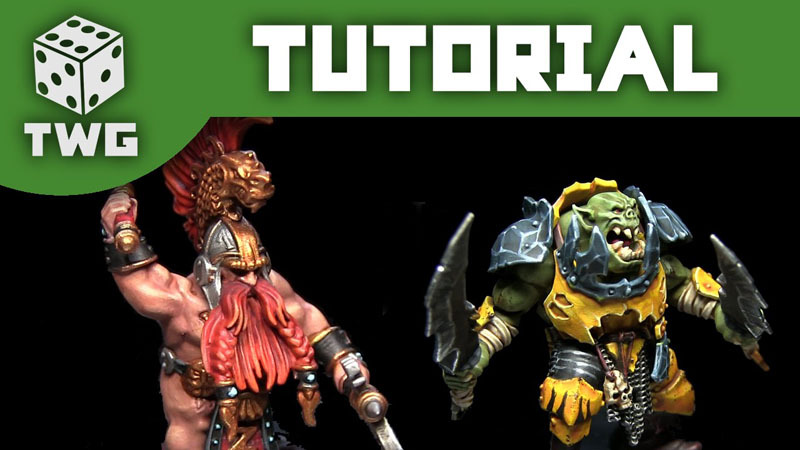 In this weeks tutorials I show you how to paint the traditional fantasy enemies, Orcs and Dwarves. More specifically I’ll be focusing on the frenzied Fyreslayers and the devastating Ironjawz. In the Fyreslayer tutorial I put a lot of emphasis on painting the skin because, due to the lack of clothes, it is very prominent feature of them. By building up several layers of glazes we build up some natural looking transitions between the skin tones. For the Orruk Brutes the main draw of the miniature is the brightly coloured armour. Bright yellow can prove tricky to get right but in the video I demonstrate a technique that will allow you to easily achieve vibrant yellows in no time at all.